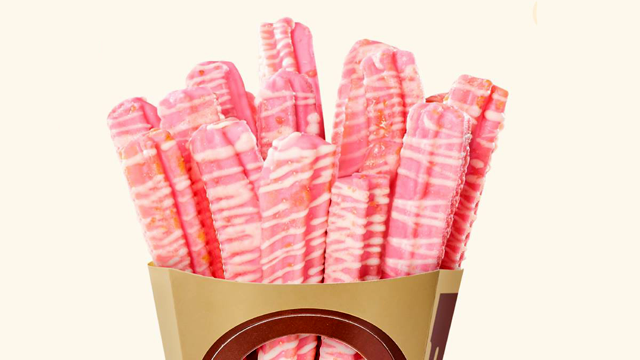 Because who doesn't love bacon? (SPOT.ph) It was early this year when Yo! Panda changed the dessert scene with their fluffy egg waffles and Instagram-worthy desserts. 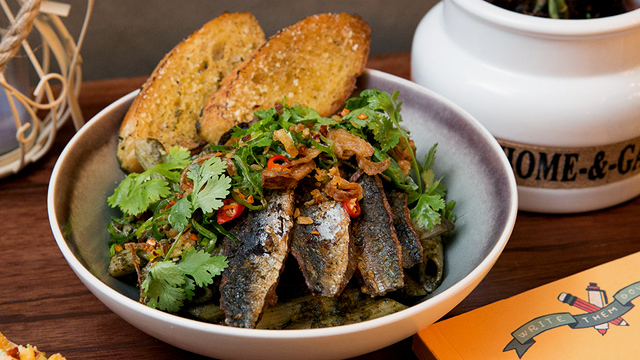 Siblings Prim Chua, Aaron Co, and Spencer Co first brought their take on the famous Hong Kong street food to SM Megamall, and they're following up their success with a new branch in SM Mall of Asia, opening on December 18, Sunday. To celebrate, Yo! Panda is rolling out a brand new flavor that will make breakfast and desserts lover rejoice: the Maple Bacon and Corn Flakes! Yo! 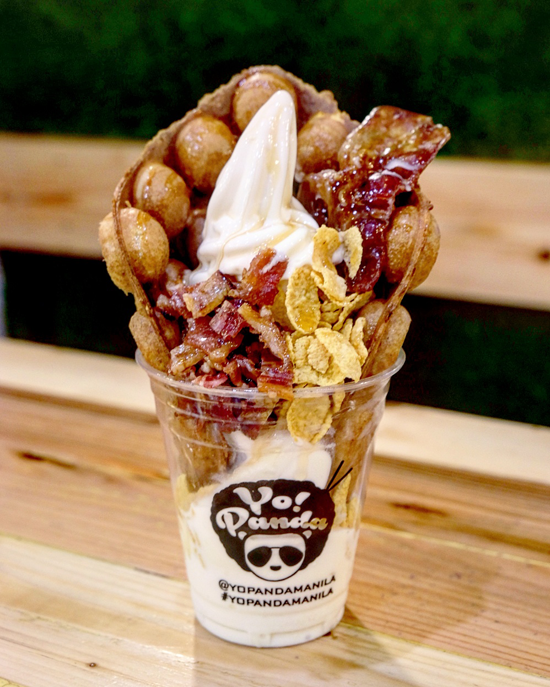 Panda incorporates breakfast classics into their signature dessert with candied bacon, corn flakes, maple syrup, and a corn flake bubble waffle on top of gelato. 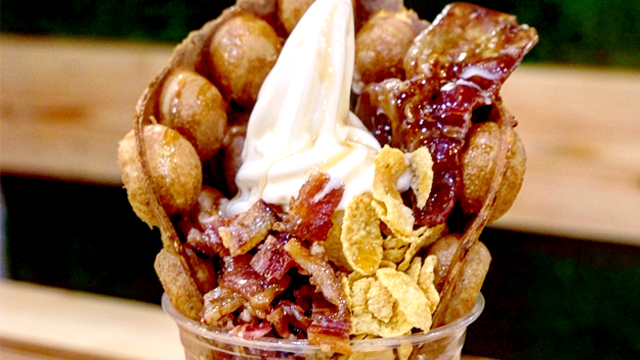 Now you've got your bacon, waffles, cereal, and milk in one delicious treat. Aside from the launch of the Maple Bacon and Corn Flakes, Yo! Panda is also celebrating the opening of their second branch by giving away free vouchers to the first 50 customers per day for three days: December 18, 19, and 20. Each voucher gets you a free Italian Gelato Bubble Waffle so you better hurry! Yo! Panda is opening at Bay Boulevard, Main Mall, SM Mall of Asia, Pasay City.